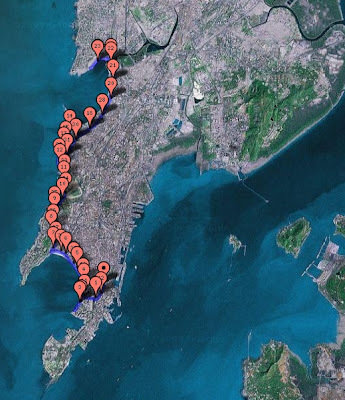 Mumbai Marathon Map Pedometer. ~ The Blog Doctor. 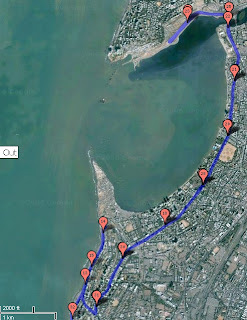 You are here: Home > Pedometer > Mumbai Marathon Map Pedometer. For doing this we will use an online pedometer which uses Google Maps to measure distances and also gives the amount of calories spent. There is also an elevation profile (only for US maps at present). The route can be measured in Kilometers or miles. After measuring out the route you can save the route as a webpage and send the link to your friends. You can use this site to measure your daily morning run or evening walk anywhere in the world. You can zoom in and see the details on the route or zoom out to see the route in its entirety. To do this use the zoom and pan tool at the upper left hand corner of the map. Click on the plus sign to zoom in and the minus sign to zoom out. To start go to Gmaps Pedometer. The default map shown is of North America. 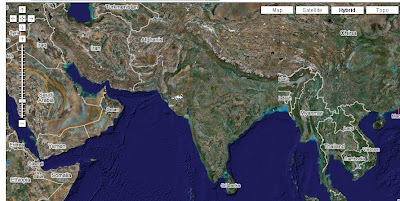 Click on the map and drag to navigate on the map to your city (in this case Mumbai). The top of the map has four options :Map, Satellite, Hybrid and Topo. Click on the Hybrid option on the top of the map. This is because Google does not have road maps for all the cities. Using the vertical slider at the top left corner of the map zoom in till you come to the maximum magnification possible. This lets you see the roads and buildings. When you have identified your starting point choose whether you wish to record the distance in miles or kilometers. 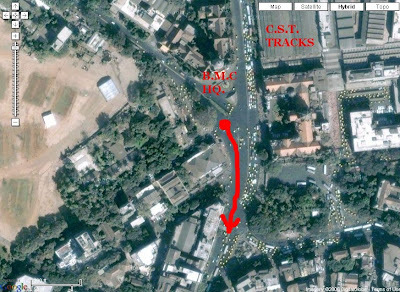 See Image below where I have zoomed into the start of the Mumbai Marathon at Chatrapati Shivaji Terminus at Mumbai India. Turn on the mile markers and turn on the calorie counter after entering your weight.. Choose the elevation if you are mapping a route in the US..
After finishing the route save it by clicking on Save Route. The route is saved as a webpage. You can send this link to anyone. 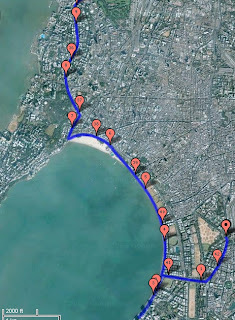 In this manner you can map out your daily morning run anywhere in the world.